Welcome to spacious, open concept, ranch-style living with over 2400 finished sq ft. 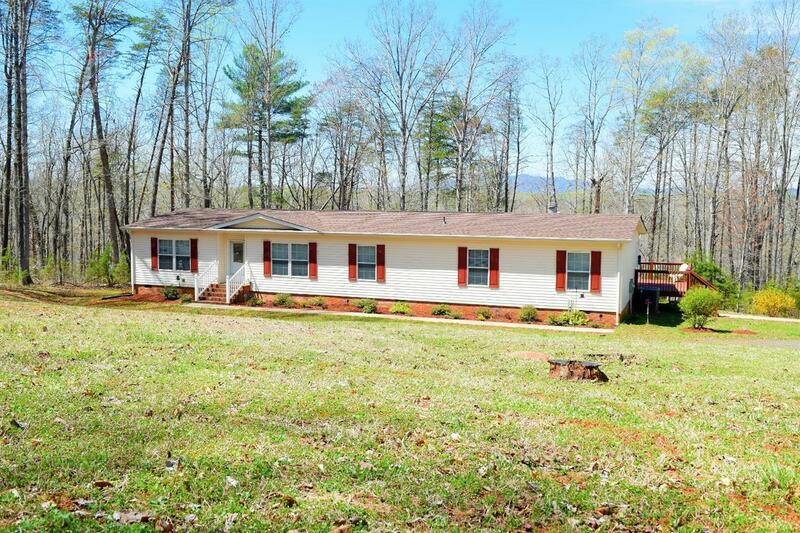 Wonderfully maintained home, nestled back in the woods for your private, quiet retreat on 5 acres. 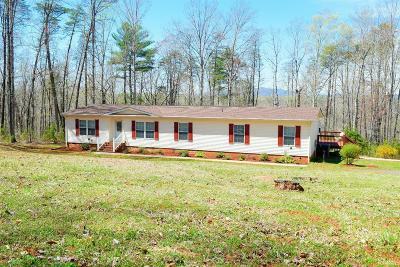 You'll LOVE watching lots of wildlife from the rear deck, which spans most of the length of the home. Spacious open floor plan and OVERSIZED rooms are perfect for entertaining! The Master BR boasts an over-sized double entry bathroom w/garden tub & separate shower, extra Large w/i closet, his & her vanities. The gourmet kitchen includes a center island w/columns, stainless steel appliances, even a pantry & window seat for more storage! The rock fireplace & gas logs are PERFECT for enjoying winter evenings in the living room! There is an office in ADDITION to 3 large bedrooms & 3 FULL bathrooms-one is a jack'n'jill bath w/private toilet. The 24x14 storage building has electricity, garage door and side door, great for storage & projects! Roof-2018; Deck-2018. Home warranty in place and goes to new owner.